Parties Unique party experience! Schools Brilliant educational visit! Organisations An amazing event for anyone! 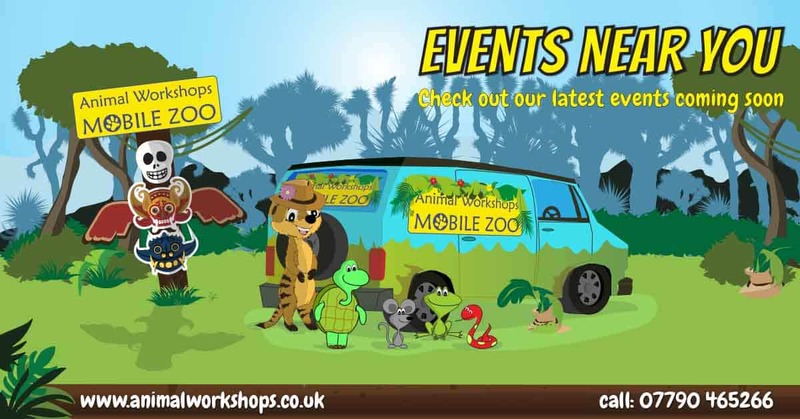 Animal Workshops offer exotic and domestic animal encounters for children’s parties, school visits, sensory sessions, care homes, groups, organisations, holiday clubs, corporate entertainment, media and more! With thanks to Online Reptile Shop, our recommended live food supplier. If you would like to find out more about Animal Workshops animals then please take a look at out Animals page or if you have any questions about bookings, where we cover, how to book please check our FAQ section out as we have covered pretty much anything there. We also have a really good up to date Facebook page which will tell you all a bout our latest bookings and the antics of our Animal Workshops animals! We also have some great reviews on Facebook of how people have enjoyed our sessions! Our Animals and our staff cannot wait to educate and entertain you and we know you will have a fantastic time. Get in touch now so we can get you booked in. If you would like to know more and want to get in touch then either give us a call on 07790 465266 or use the contact form below. Our beautiful animals cannot travel too far! We cover Essex and surrounding areas. If you are unsure if we cover your area please use the form and get in touch as if we can’t help we are always happy to recommend other companies who may be able to. Take a look below at some of our latest news and fun things we and are animals get upto!